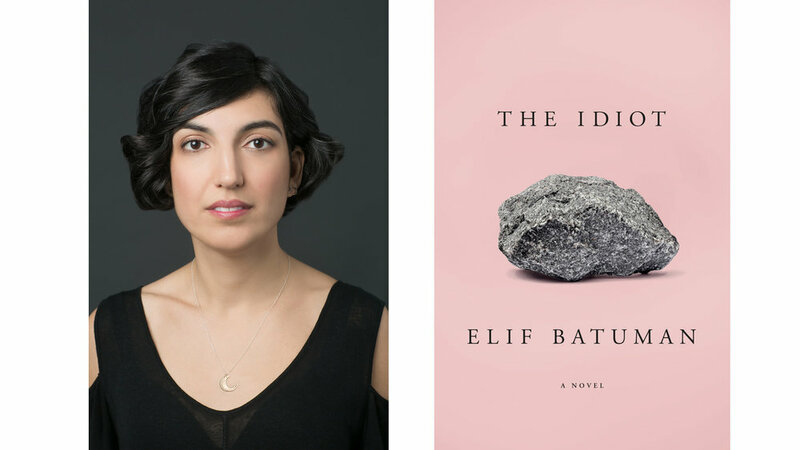 In a relatively short time, much has been written about Elif Batuman’s debut novel, The Idiot, published earlier this year. It offers an attractive antidote to our expectations for what a Harvard freshman’s bildungsroman might be. Missing are the highly competitive egos and fraternal orders ivy leagues are known for. In place of these, an aloof Turkish-American protagonist, Selin Karadağ, fills her schedule with linguistics and humanities classes. But what she learns from those classes is less important than the humorous revelations she has about seemingly irrelevant things. She falls head over heels for Ivan, a Hungarian senior whom she has met in her introductory Russian class. Their relationship develops in fits and starts through the revolutionary media of early email. She has only just discovered this new form, as the year is 1995. Its historical setting is littered with Ethernet cables and pay phones. Though she attempts to preserve the intellectual integrity of her special platonic bond with Ivan, their relationship eventually reaches its painfully awkward limit, and fizzles out by the end of the novel. The anticlimactic ending reveals Batuman’s willful disobedience towards novelistic conventions. She deliberately leaves a few loose threads untied. 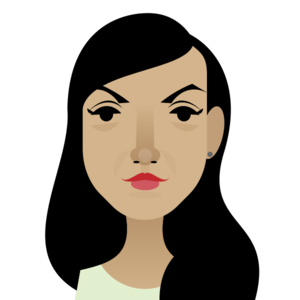 Well-known as a New Yorker staff writer, Elif Batuman has written many non-fiction articles that engage the reader on a personal level. Her previously published book, The Possessed is also known for its idiosyncratic and personal approach to discussing Russian literary criticism. As for The Idiot, the number of discussions it has generated attests to its strength as a novel. Some of these surround its time period, its literary references to Russian literature (its title pays homage to Fyodor Mikhailovich Dostoyevsky’s work), its premise as a fictional narrative in spite of including many nonfictional elements (Elif Batuman is quite open about the fact that many of the details of The Idiot), and its apparent lack of direction (its modest protagonist never consummates her love); all of which are covered more fully elsewhere (see my list below*). I've noticed that the novel's Turkish elements are glaringly absent from most reviews. For readers in Turkey, these aspects deserve consideration. The Idiot contains a significant amount of anecdotal material about Selin’s Turkish language, culture, and identity. For instance, Selin discovers in her linguistics class that the Turkish language is classified as an agglutinative language, which sets it apart from Indo-European languages. This means that in Turkish, the subjects, verbs, tenses, and other meaningful parts of speech are formed by adding suffix endings onto the tail ends of words. Selin seems to become more intrigued by Ivan as she learns about the intertwined linguistic identities of their cultures: both Hungarian and Turkish share this grammatical structure as languages from the Ural-Altaic family. Sometimes they even search for linguistic closeness in their conversations by finding the common words between Turkish and Hungarian such as “goat,” “apple,” and “boot.” Sharing such inside references makes Selin feel a unique intimacy with Ivan. She even discovers a theory to confirm this in her linguistics class: The Whorf hypothesis. It suggests that the structure of a language can determine one's worldview. Therefore, people who come from cultures with languages that share similar grammatical structures may share some innate understanding. Throughout the novel, the Turkish language is presented as a lens for the reader to interpret Selin's unique worldview. Early on in the novel, Selin details the importance of the –miş suffix as an example of how different languages force you to think about different things. In Turkish, anytime you report something you didn’t personally witness, you’ll typically finish the sentence with the suffix –miş. “You were always stating your degree of subjectivity,” Selin declares, in her description of the psychological effect of –miş. In English, it's like inserting the word "apparently" into a sentence, which adds a degree of doubt. Selin realizes that the –miş suffix makes you aware of the conflicting narratives around you in a bewildering, humorous way. In Turkish, it is as if your own view of things is the only definitive narrative you can rely on. In many ways, the dilemma of the –miş suffix comprises the central dilemma of the novel, itself. 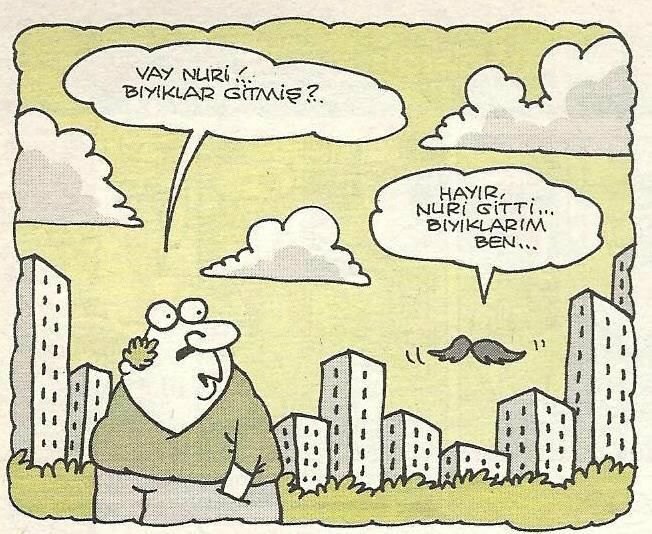 Man: Wow, Nuri (talking to himself), your moustache (apparently) went away? Moustache: No, Nuri went away. I'm the moustache. Later, Selin decides to write a research paper about the –miş suffix and in the process of her research, she learns that it is called the “inferential tense.” It is used for specific forms of oral transmission: “fairy tales, epics, jokes, and gossip.” The –miş suffix is rendered throughout the novel, less inconspicuously in English, with Batuman’s inclusion of each of its forms, especially jokes and gossip. But the effect of its influence upon her worldview is most pronounced in the relationship she develops with Ivan. The tension derived from their email exchange mirrors the tension of the –miş suffix. Her therapist points out that her and Ivan’s relationship could be entirely fabricated because she can’t personally verify any of his claims. Her own worldview also conspicuously rubs up against Ivan's when she realizes their contrasting views of history. Once, Ivan mockingly responds to Selin’s request to tell him the plot of a soap opera in an email: “If you would tell me about it, I would forgive you for Siberia, the 150 years of Turkish invasion of Hungary, and, moreover, the horrible books about it which we had to read in school.” She contemplates his comment sheepishly, “I had never heard of any Ottoman invasion of Hungary. As a child, I had been told that the Turks and Hungarians were related, that the Huns were Turkic, that both peoples had migrated west from the Altai and spoke similar languages. I had an Uncle Atilla--it was a common Turkish name. But in Ivan's world, our ancestors had been enemies.” She reaches the limits of her own subjective purview, and this leaves her stupefied. Similarly, her other Eastern European cohorts grew up with strikingly different narratives about Turkish history from her own. Selin has inherited pride in the republic of Atatürk, who, in addition to founding the Republic of Turkey , founded Ankara, the capital city of Turkey and her mother’s hometown. In general, her associations with the role of Turkish people in history are benign. Meanwhile, Selin’s friend Svetlana introduces Selin to her Serbian mother who reminisces how on holidays, she’d dance joyfully on the graves of the Turks, the mortal enemies of the Serbs. Later, Gabor, a Hungarian friend of Ivan’s even belittles the Republic of Turkey: “One day you’re the largest empire in the world; the next, you’re a republic the size of Texas.” Such comments are met with Selin’s comedic bafflement. 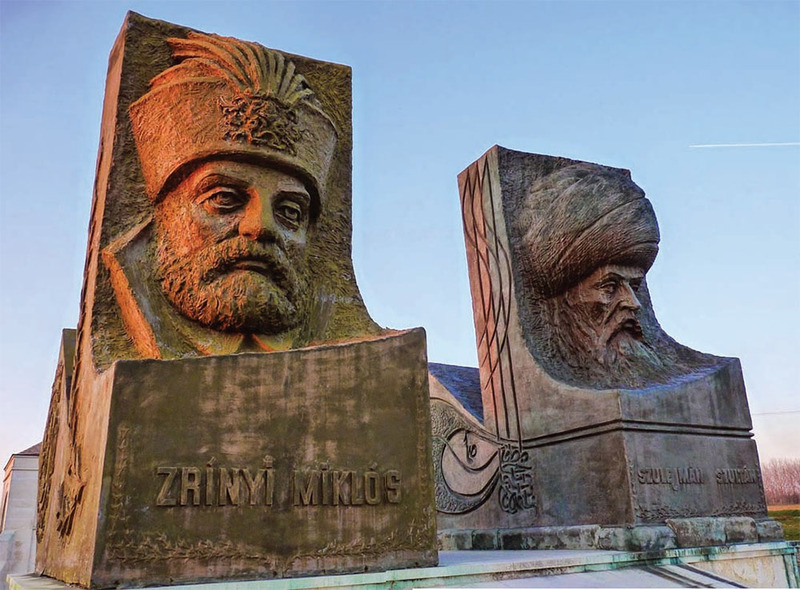 Statues of the Ottoman sultan Suleiman I and his Hungarian enemy, Miklós Zrínyi, at the Hungarian-Turkish Friendship park in the town of Szigetvár in southwestern Hungary. Selin is even forced to defend her own identity on occasion, something familiar to any second generation immigrant in America. She must break through people’s doubts that come from their lack of personally verifying her identity, the dilemma of –miş. Once, when a group of boys refuse to believe she’s not Pakistani, she assures them she’s Turkish. Another time, when Ivan’s friend is appalled at her “idiomatic English,” assuming she had grown up in Turkey, she must assure him she grew up in New Jersey. These contrasting narratives not only challenge her worldview, but also challenge her underlying belief that each narrative has a primary, true meaning—a perspective she inherits from her mother. Selin astutely notices the degrees of narrative difference that mark her relationships with others. Yet, she seems to feel most at ease whenever she converses with her mother. Their closeness depends not only on their familial bond, but also on their shared understanding of language. She also associates her childhood with speaking Turkish. She describes to Ivan how she feels like a child in Turkey, because she had stopped learning Turkish at age three. Selin seems to relish in her role as a child, though it is fading. In Selin’s discussion of the –miş suffix, she also emphasizes that “One of the most common uses of the Turkish inferential, the book said, was in speaking to children ( . . . ) The inferential tense allowed the speaker to assume the wonder and ignorance that children live in--that state when every piece of knowledge is basically hearsay.” Mirroring this state of ignorance, her inability to determine the central meanings of all the new stimuli at Harvard places her in a state of childlike awe. Yet, it comes as some relief by the end of her adventure that she has not seriously marred any of her childlike qualities. Some critics have complained that the second half of the novel is directionless. After the fallout of her unconsummated love relationship with Ivan, Selin returns to Turkey to reunite with her family. For me, this safe arrival back into the clutches of her close-knit Turkish family in their homeland grants the ending an alternate form of resolution. It is a homecoming, after all. By placing her arrival in Turkey as a coda at the end of her long narrative, the form of the novel seems to mirror the form of a Turkish sentence in which the most meaningful parts are tacked on at the ending as suffixes. Not much changes for Selin, but Batuman’s humor kept me reading. I laughed out loud more times than I can count on my fingers. Likewise, her tangents supplied me with a new stock of trivial knowledge. 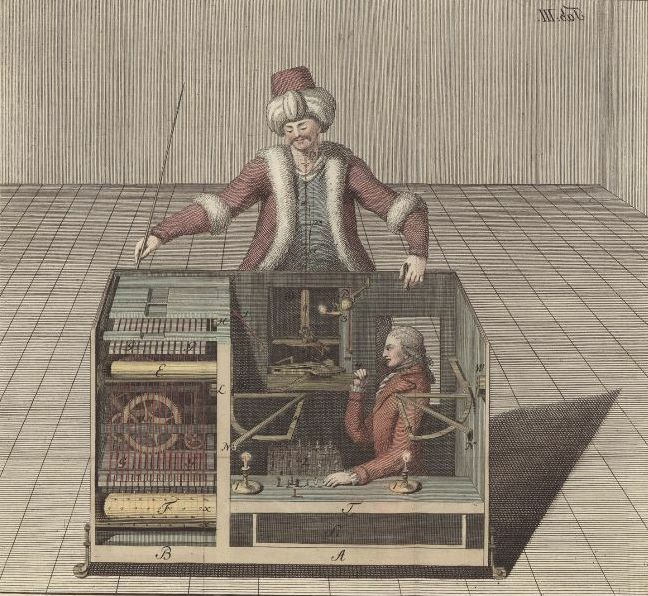 For instance, Selin details the history of a nineteenth century automaton known as “The Turk” which defeated Benjamin Franklin at chess. I’ll remain grateful for these delightful odds and ends that fill the novel’s pages. You can buy The Idiot here. Erica Eller is a writer and editor from the United States, living in Istanbul. She's lived in Istanbul so long that she now fuels her writing with çay instead of coffee.